Rapid worker range stationery cabinets are commonly used to store a wide variety of products in an office, ranging from stationery to uniforms to private files that must be stored under lock and key. They are available in beech/ironstone, cherry/ironstone or warm white. 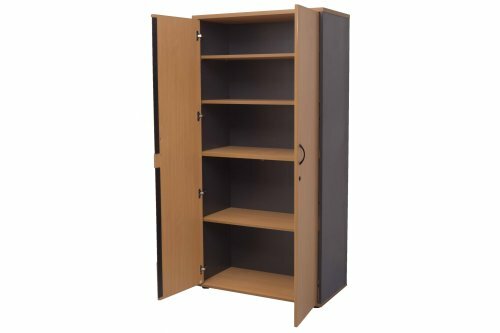 All Rapid Worker Range Stationery cabinets have 18 mm thick sides, back panels & doors with 3 x height adjustable shelves & 1 x fixed structural shelf. : 1800 high x 900 wide x 450 deep.